This year, go for humor instead of horror. Halloween is one of the funnest holidays throughout the year. 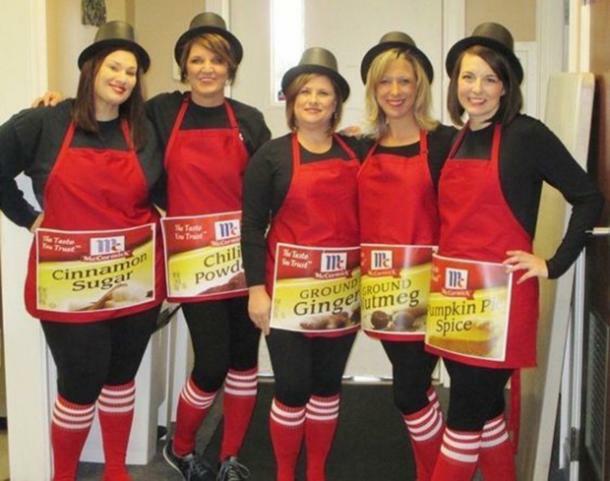 Even though that whole trick-or-treat portion is designed for kids, people of all ages can still dress up and celebrate. In fact, if there was a poll between adults and kids to see who enjoys Halloween the most, it would probably be a close call. This year, Halloween falls on Wednesday, October 31, 2018. The origin of this spooky day dates back to the ancient Celtic festival of Samhain. During this festival, people would light bonfires and wear costumes to keep ghosts away. Popes Gregory III and Gregory IV deemed November 1 as All Saints Day, which is a day to commemorate all of the saints, but was also a move to curb the Samhain festivals. The evening before All Saints Day became known as All Hallows Eve, which would eventually be called Halloween. In modern times, Halloween is a day of festivities when people can enjoy trick-or-treating for candy, carving pumpkins, and wearing costumes. 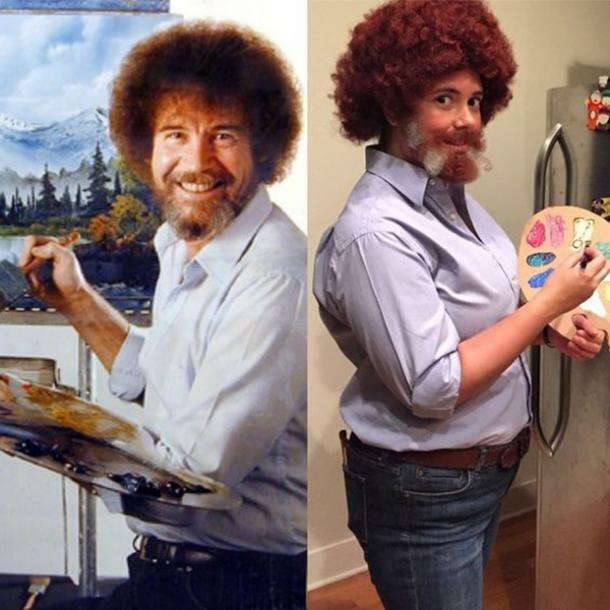 At the end of the day though, easily the best part of Halloween is the costumes. It's so much fun to dress up! 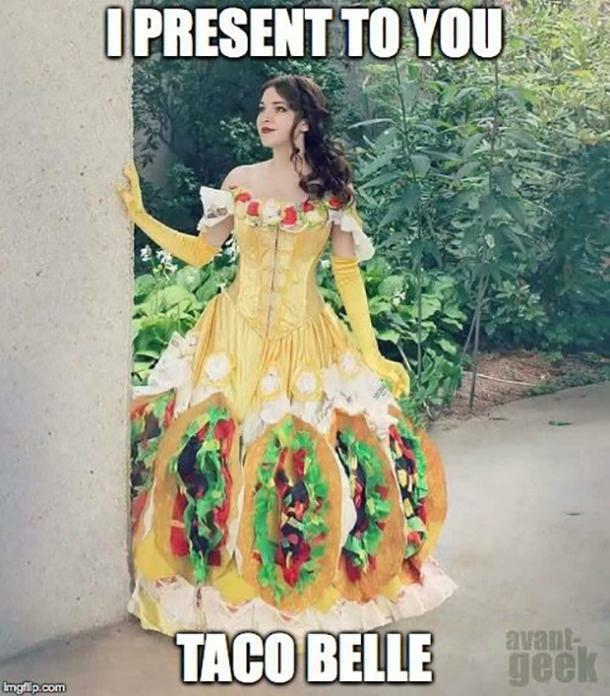 Just because Halloween is normally associated with all things spooky and scary, doesn't mean we are limited to only those choices in our costume decision making. 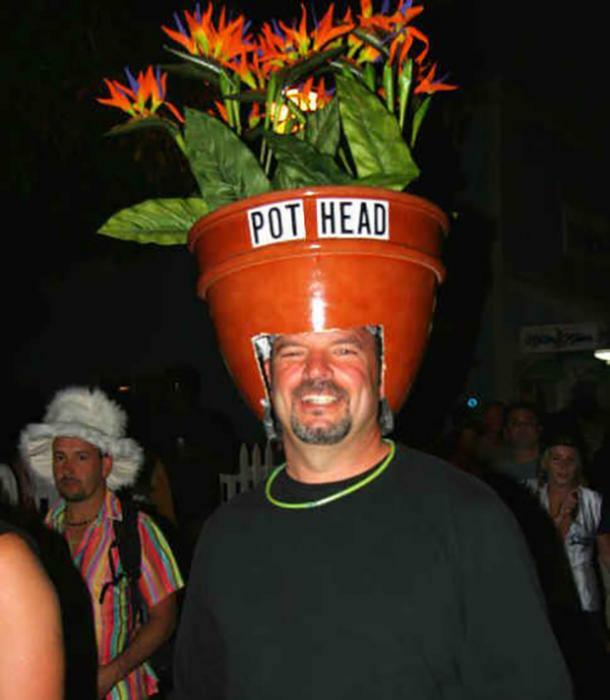 In fact, funny outfits or costumes with a clever pun are really popular. 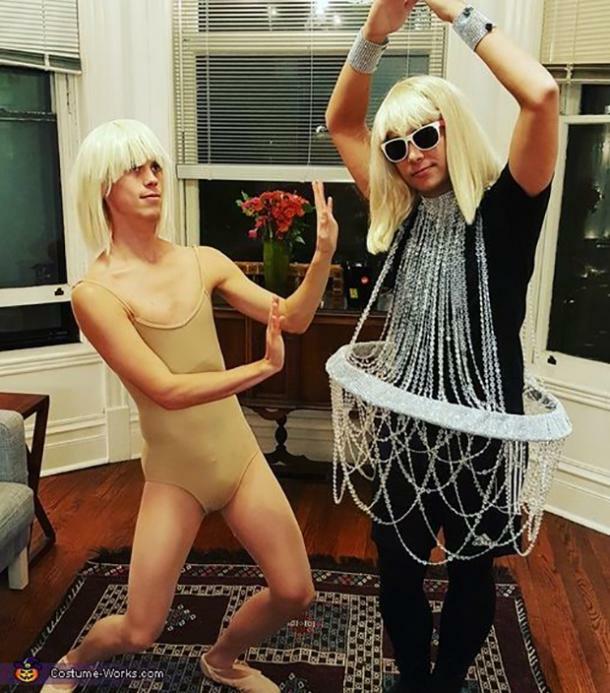 Even though we enjoy dressing up, finding the perfect costume to wear is easier said than done and it helps to have some ideas to pull from. 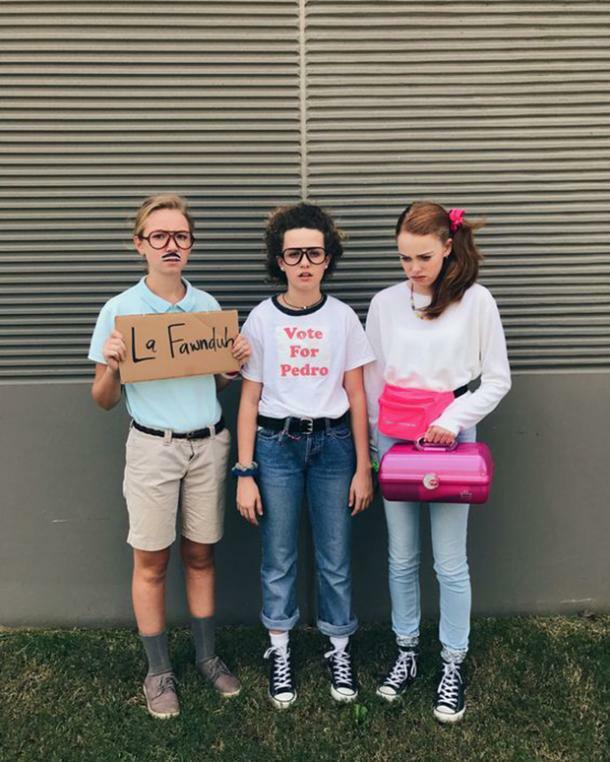 If you're looking for something more humorous to wear this Halloween, check out 70 of the funniest and pun-inspired costumes that you can rock this October 31. 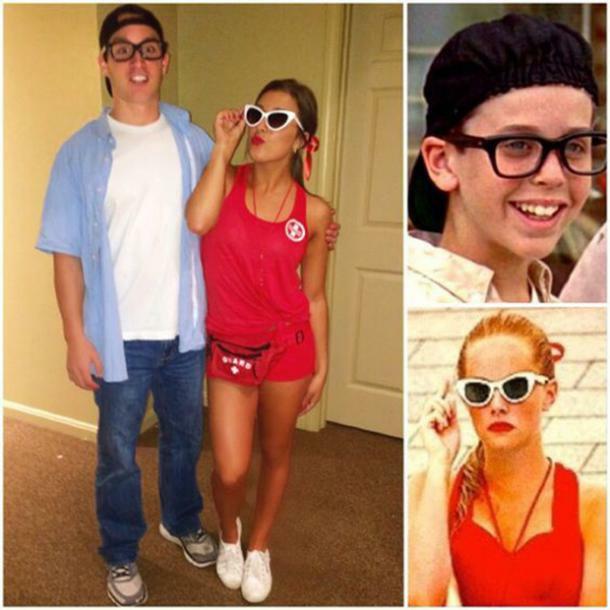 Squints and Wendy Halloween costume. 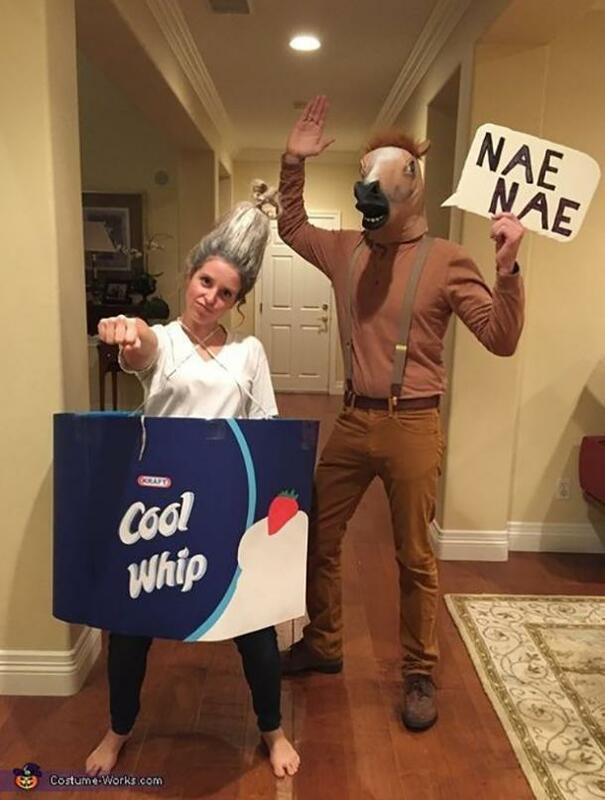 Cool Whip and a horse Halloween costume. 3. A more literal take on the term. 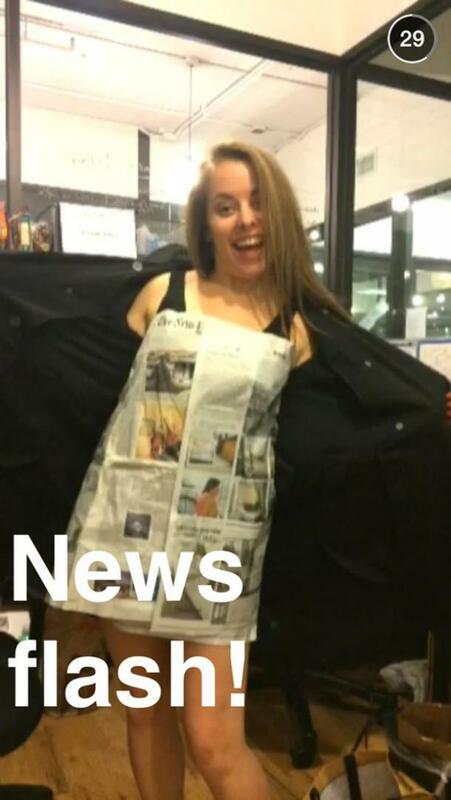 A news flasher Halloween costume. 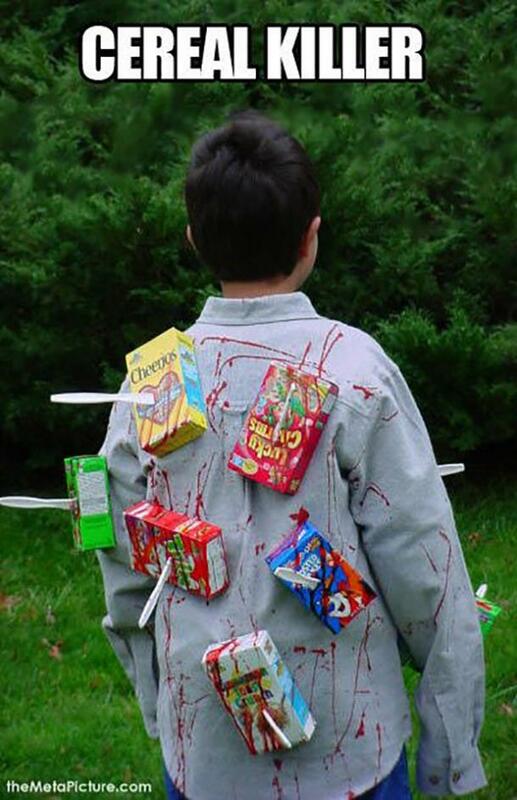 A 'cereal' killer Halloween costume. 7. When the avocado is blessed. 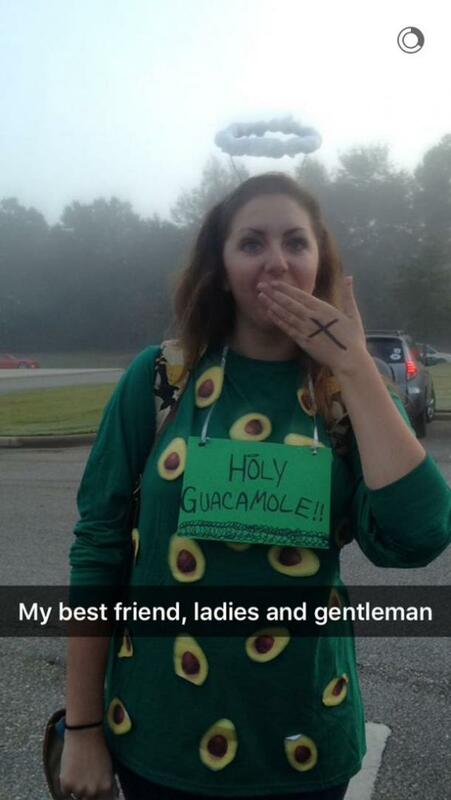 A holy guacamole Halloween costume. 8. Be nice to fish, kids. 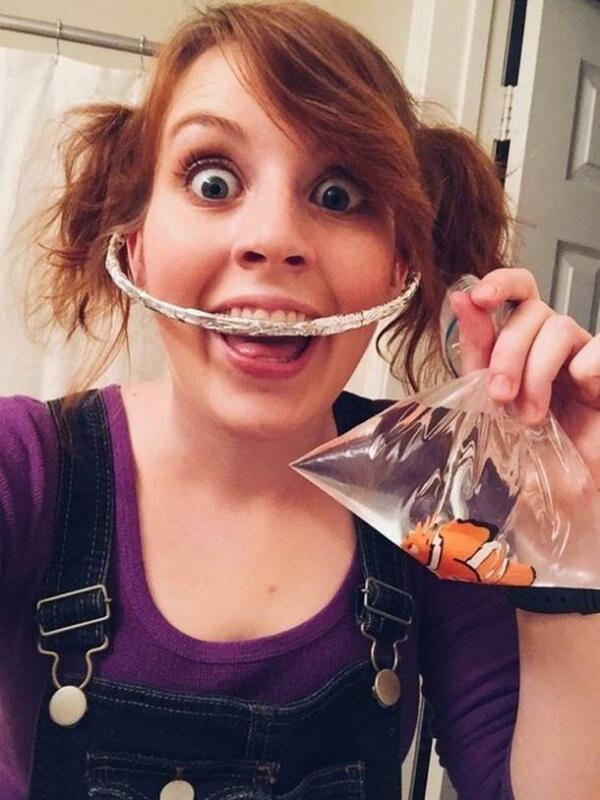 Darla from Finding Nemo Halloween costume. 9. The beeping sound is optional. The Operation Game Halloween costume. 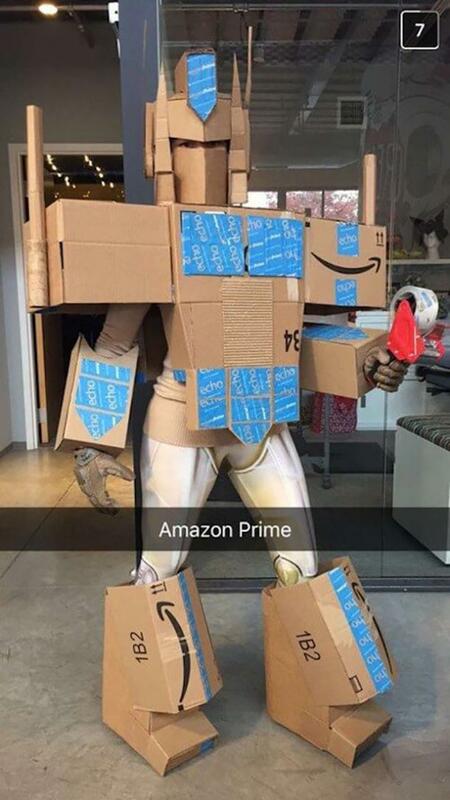 Amazon (Optimus) Prime Halloween costume. 11. The extra member of the Wolf Pack. 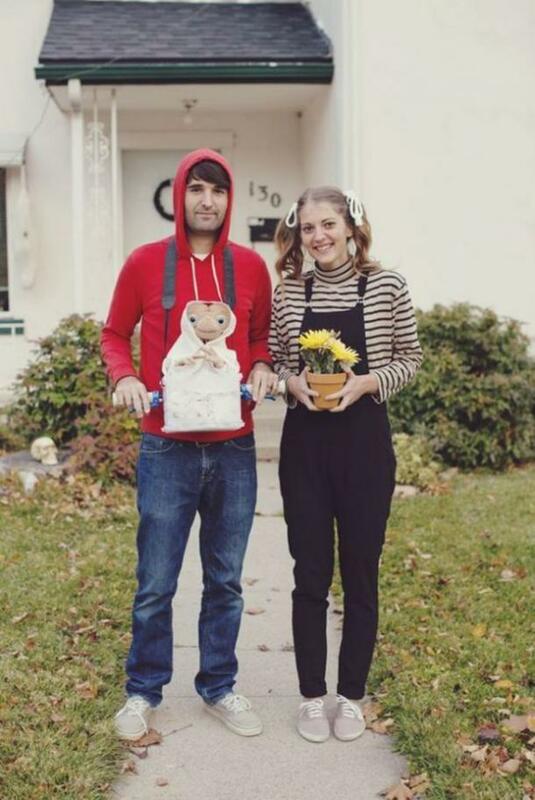 The baby from The Hangover Halloween costume. 12. Sing to me, Paolo! 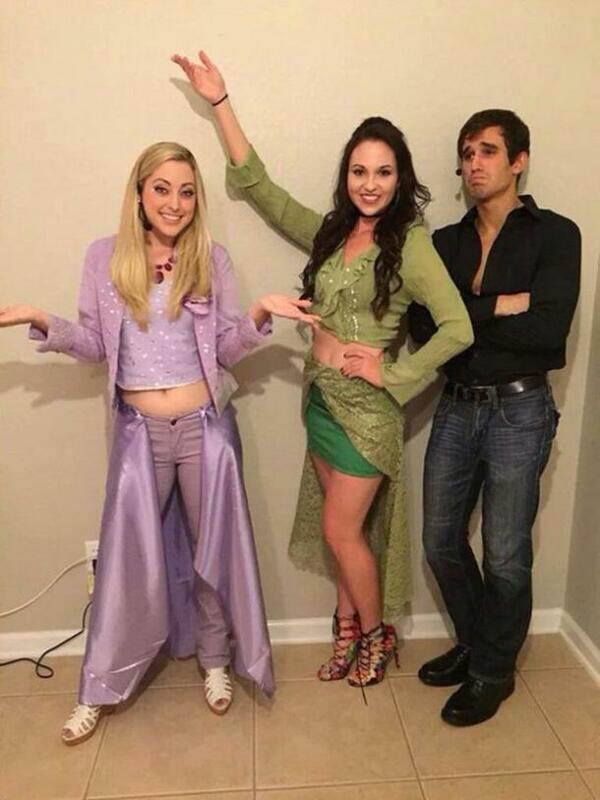 Lizzie, Isabella, and Paolo from The Lizzie McGuire Movie Halloween costume. The cast of E.T. 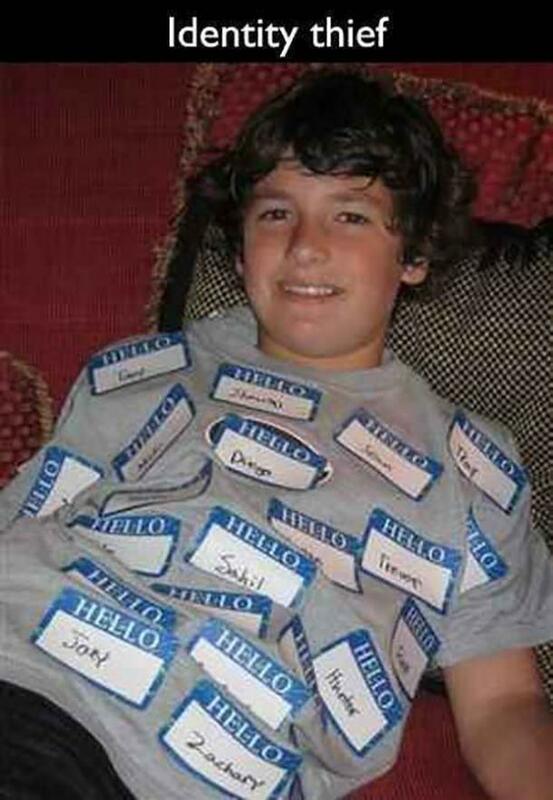 Halloween costume. 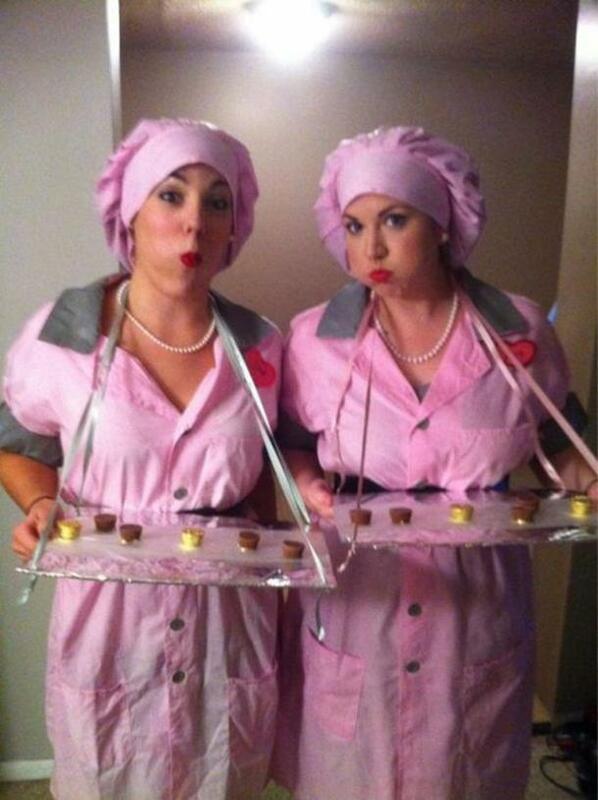 Lucy and Ethel from I Love Lucy Halloween costume. 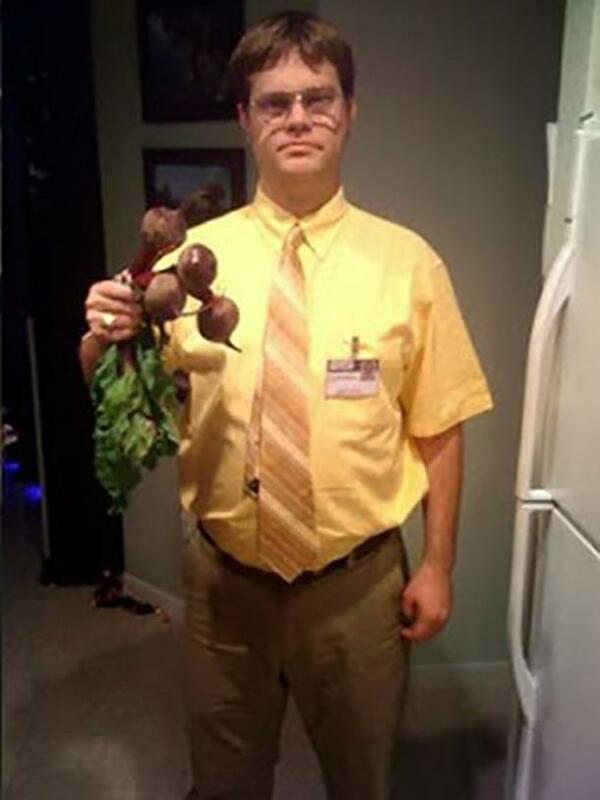 Dwight from The Office Halloween costume. 16. Careful with red there, buddy. 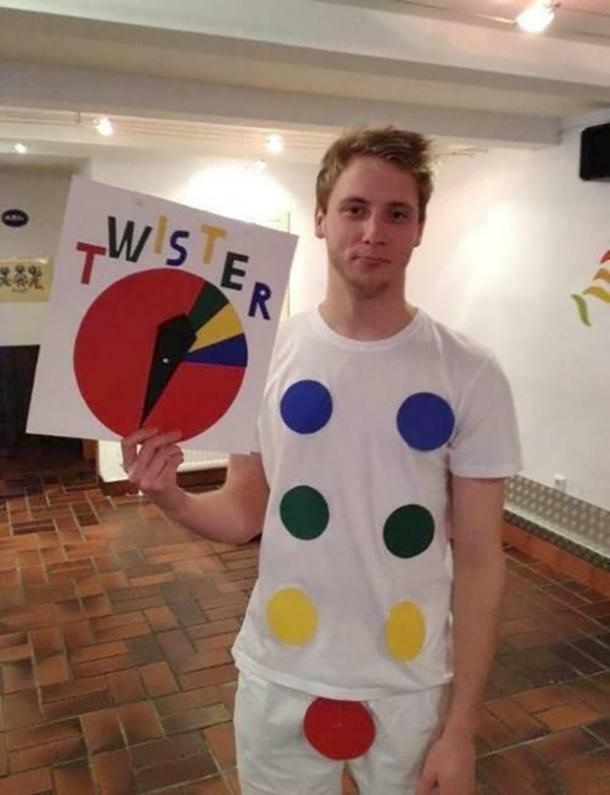 The Twister Game Halloween costume. 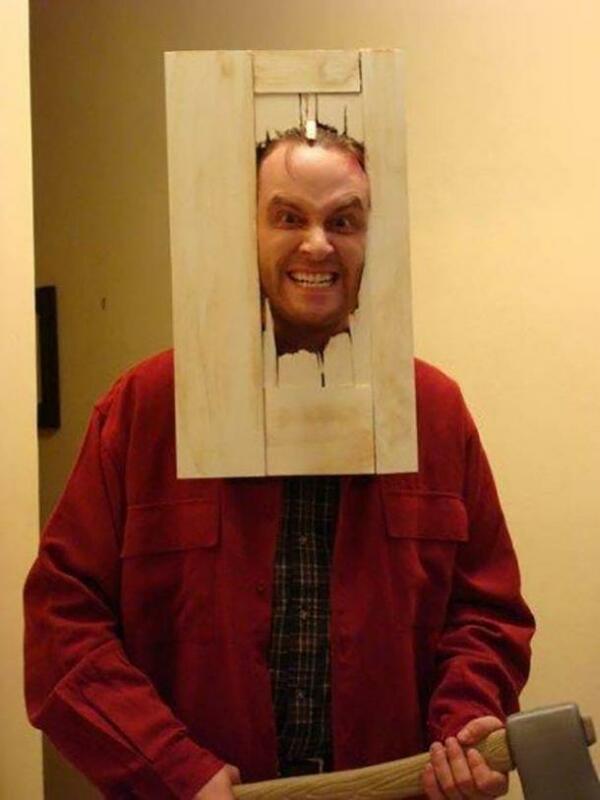 Jack Nicholson in The Shining Halloween costume. 18. You want fries with that? 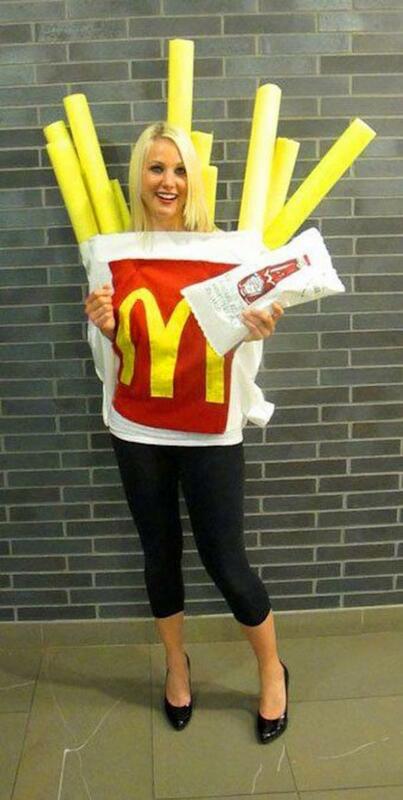 McDonald's french fries Halloween costume. 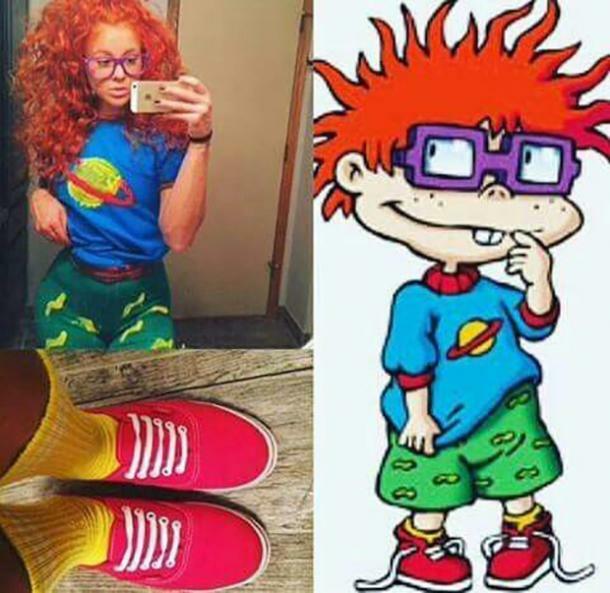 Chuckie Finster from Rugrats Halloween costume. 20. When Flo met Jake. 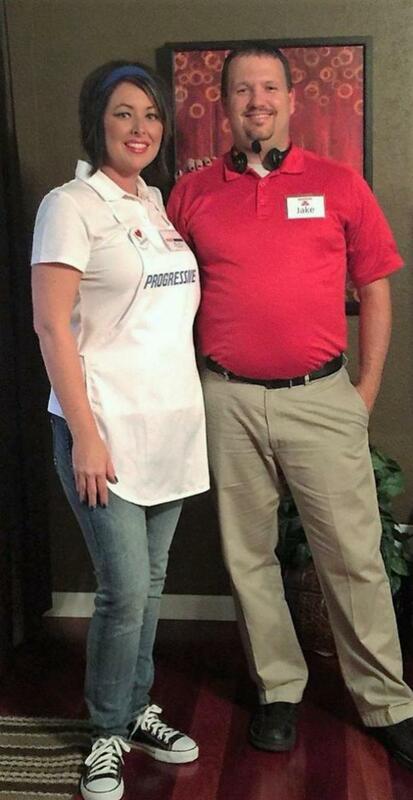 Flo from Progressive and Jack from State Farm Halloween costume. 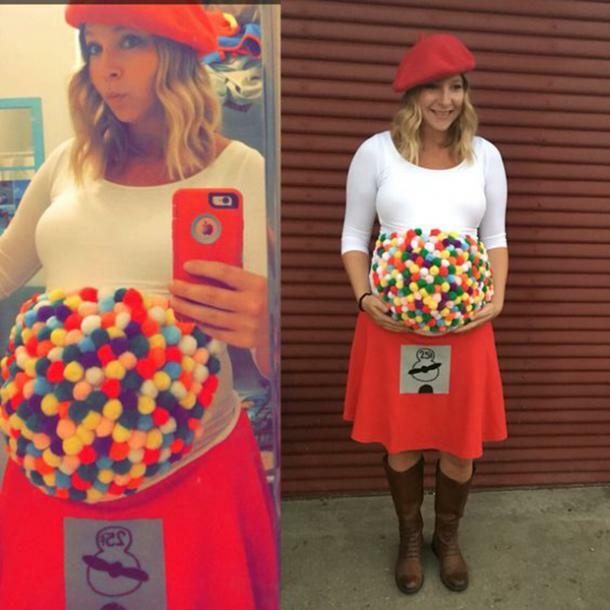 A gumball machine Halloween costume. 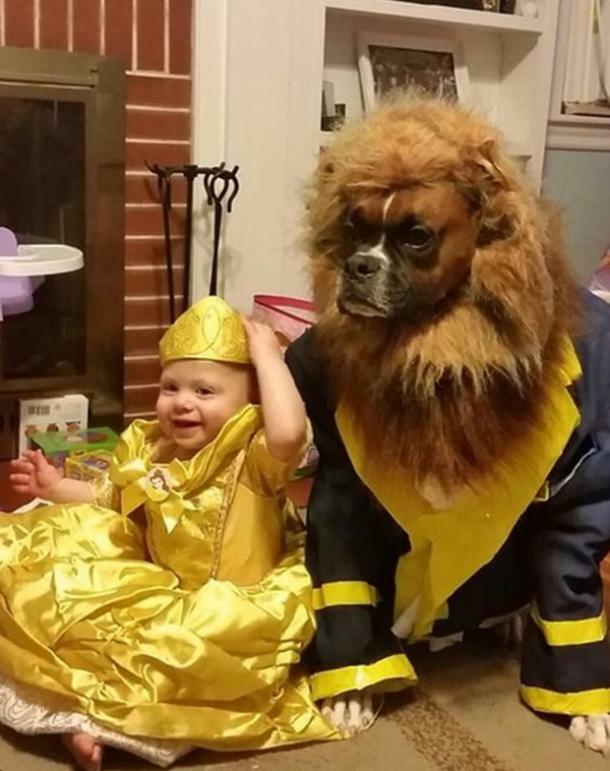 A little Beauty and her Beast Halloween costume. The Tooth Fairy Halloween costume. 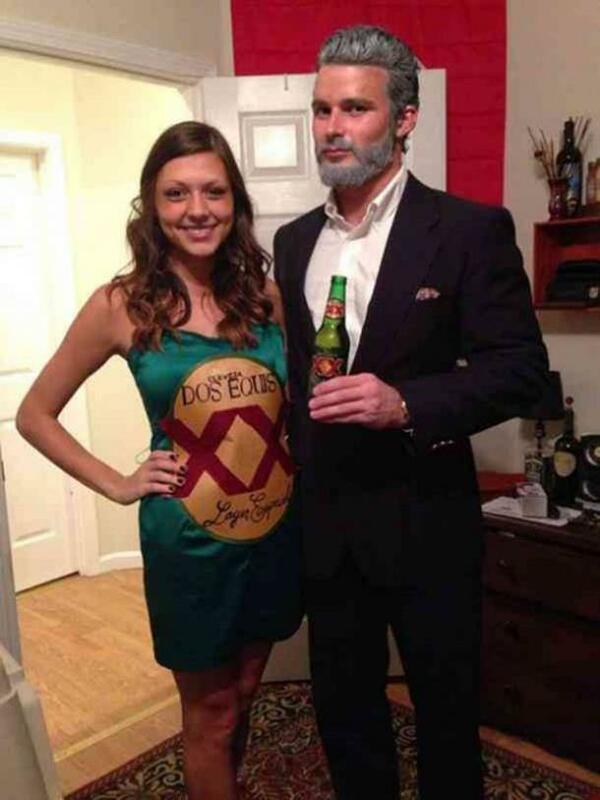 A Dos Equis beer and The Most Interesting Man in the World Halloween costume. 25. Does this mean you get stuck cleaning up after the party though? 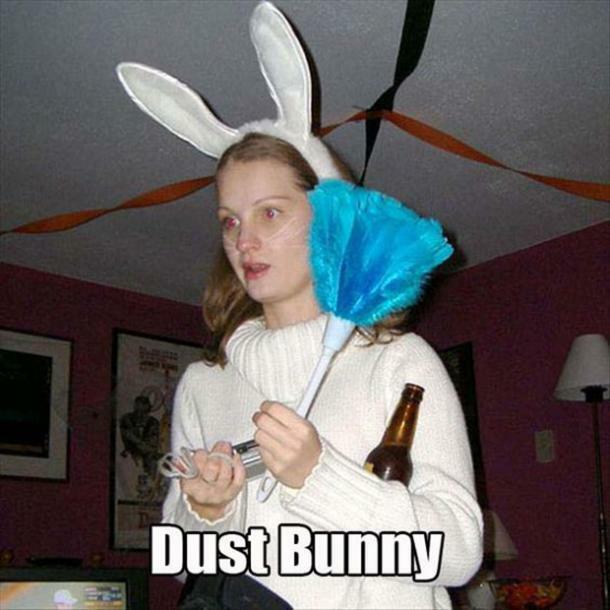 A dust bunny Halloween costume. 26. Best couple at Dundler Mifflin. 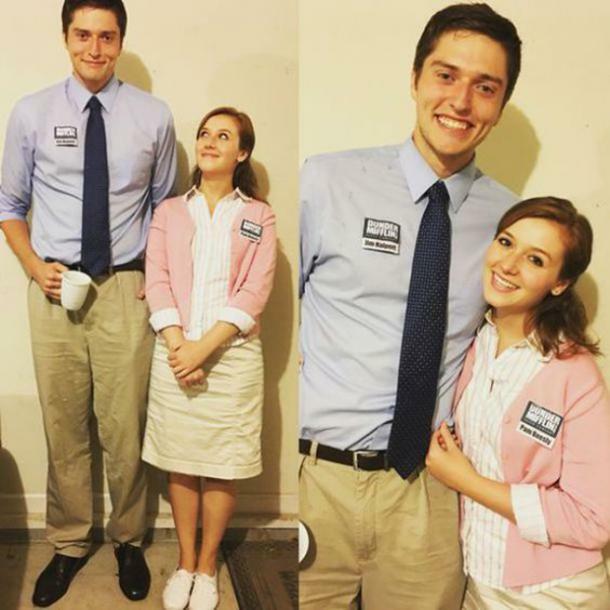 Jim and Pam from The Office Halloween costume. 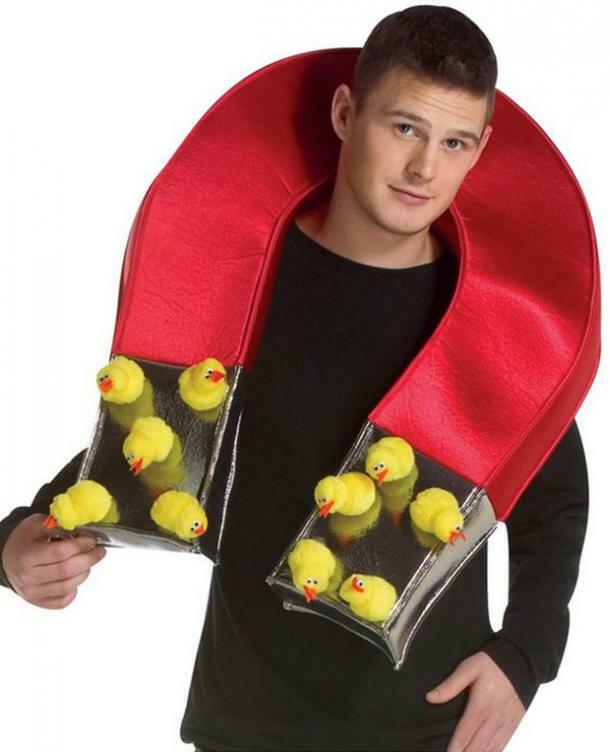 A chick magnet Halloween costume. 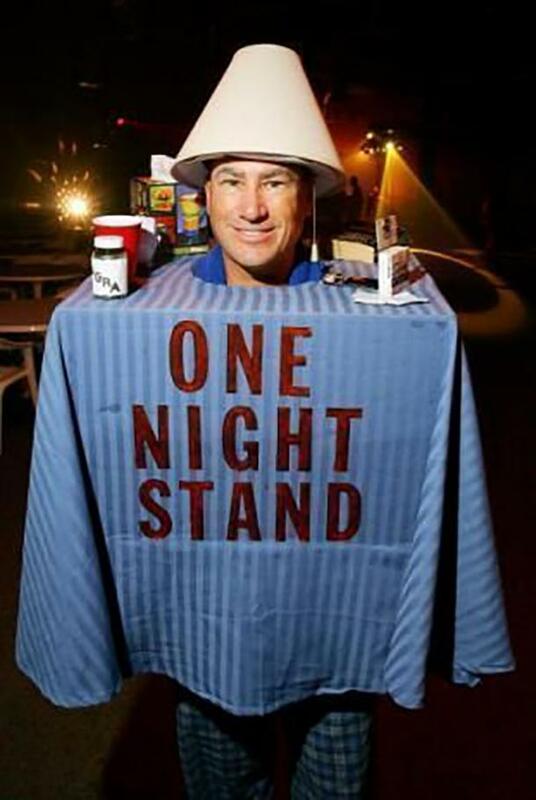 A one night stand Halloween costume. 30. How to know your commercial campaign is a success. 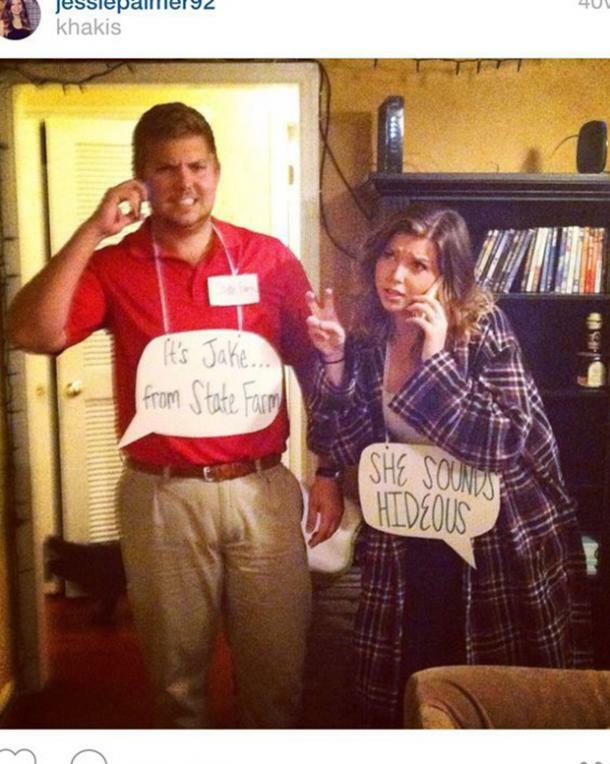 Jake from State Farm Halloween costume and the jealous wife in the commercial. 32. Take chances, make mistakes, get messy! 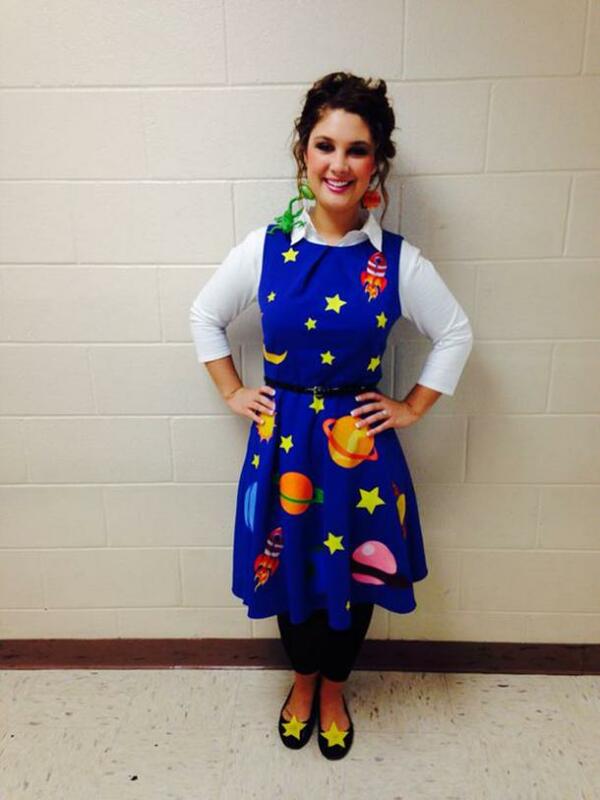 Ms. Frizzle from The Magic School Bus Halloween costume. 33. Such a fun idea. 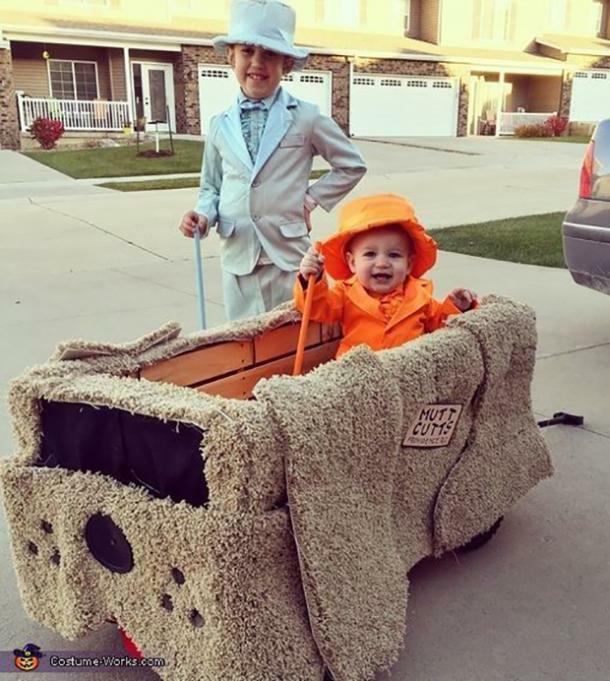 Harry and Lloyd from Dumb & Dumber Halloween costume. 34. Is that coverage by insurance? 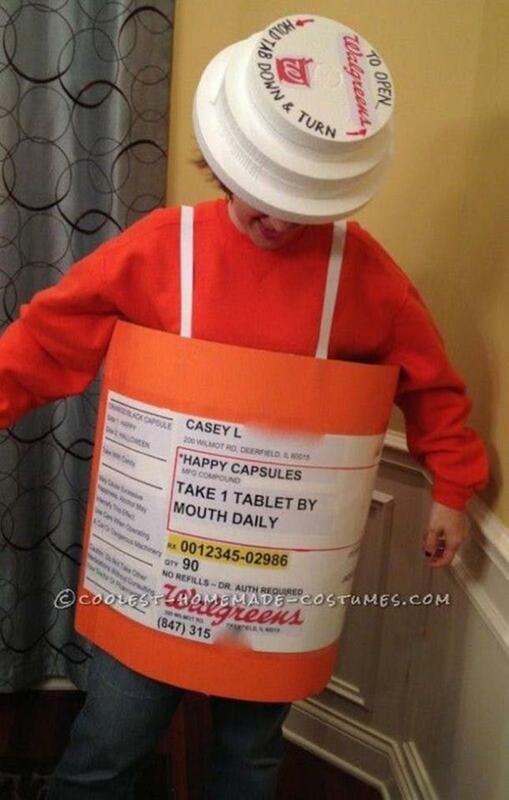 A Walgreen's prescription Halloween costume. 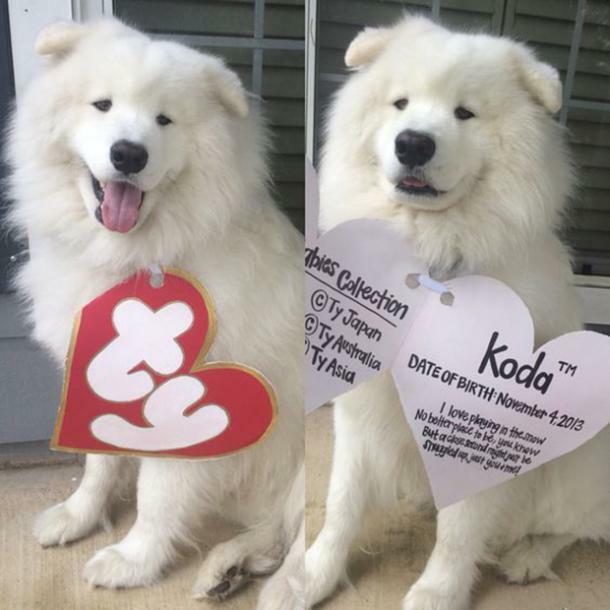 A beanie baby Halloween costume. 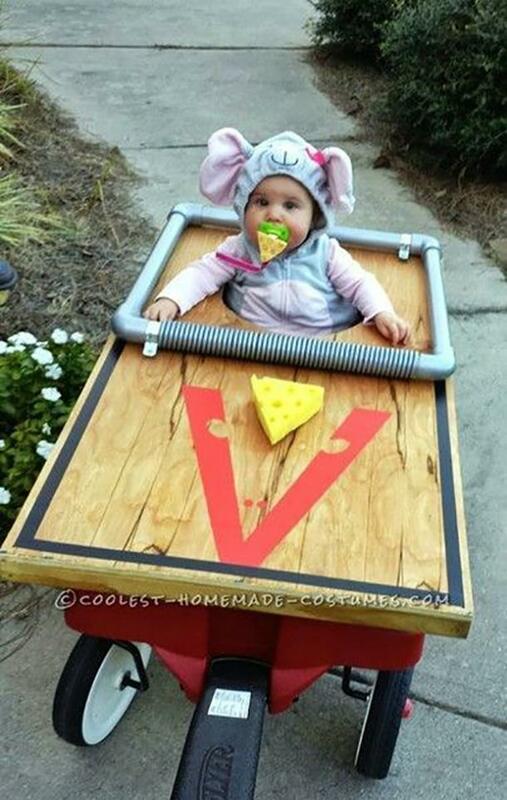 A mouse trap Halloween costume. 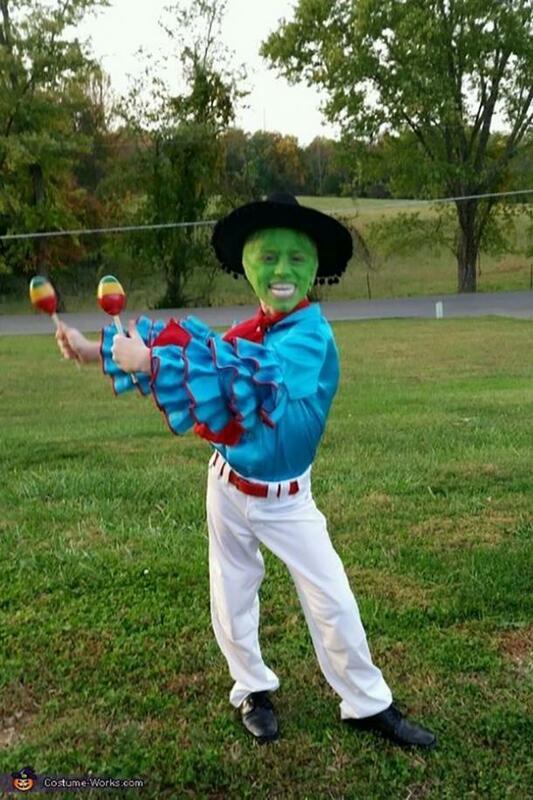 Jim Carrey in The Mask Halloween costume. 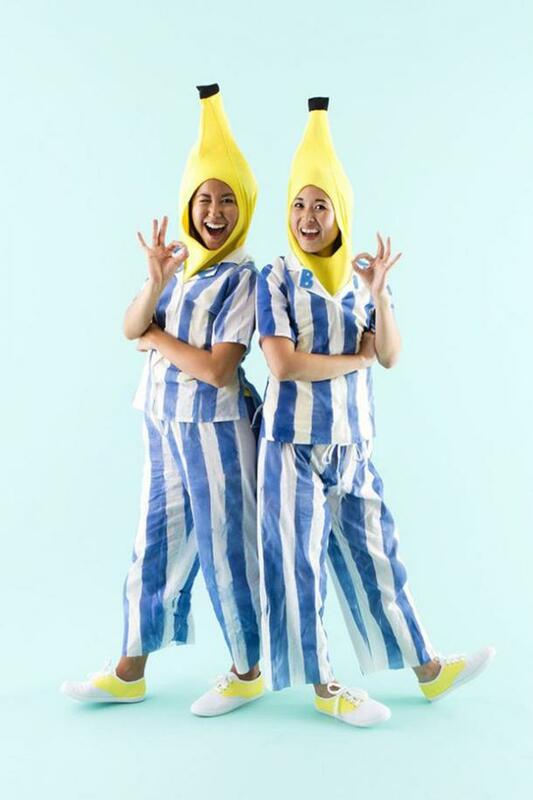 Bananas in pajamas Halloween costume. 39. Still trying to figure this one out. 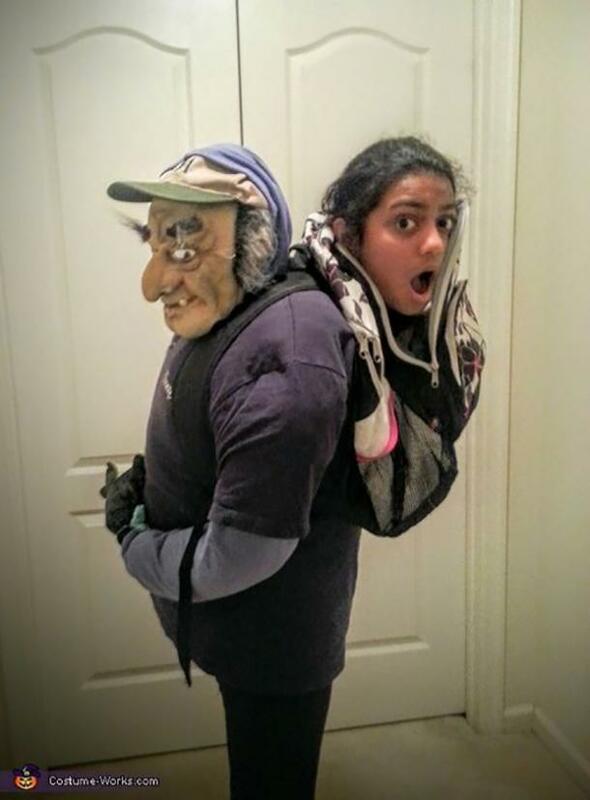 Carried in a backpack Halloween costume. 40. Try not to trip. 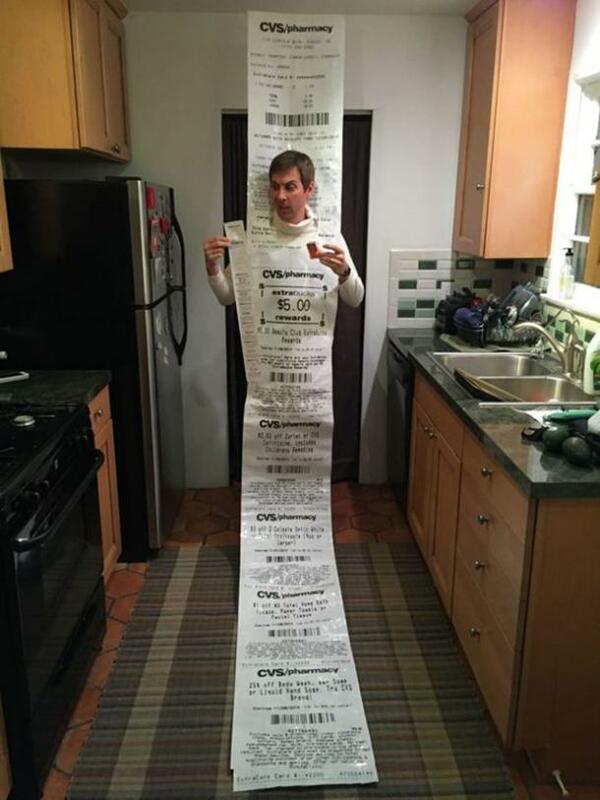 A CVS receipt Halloween costume. 41. Tag Kim K. in your Instagram posts. 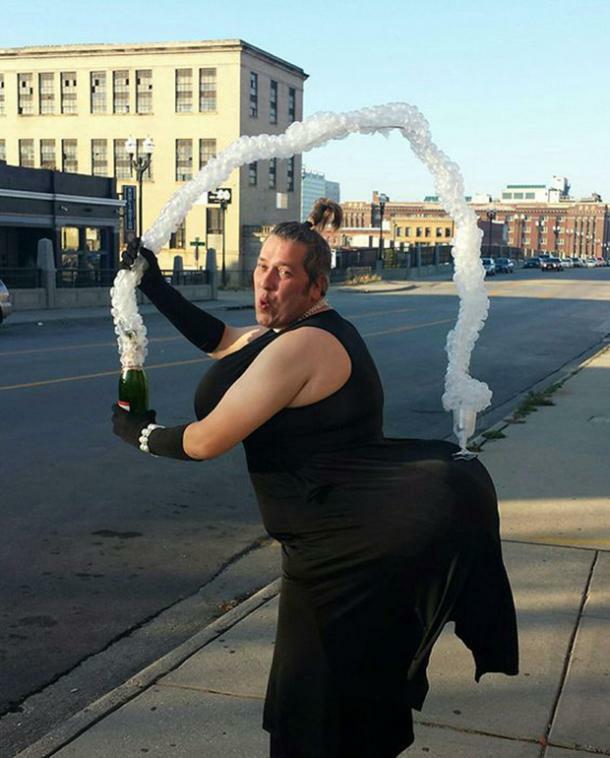 Kim Kardashian's infamous champagne magazine cover Halloween costume. 42. 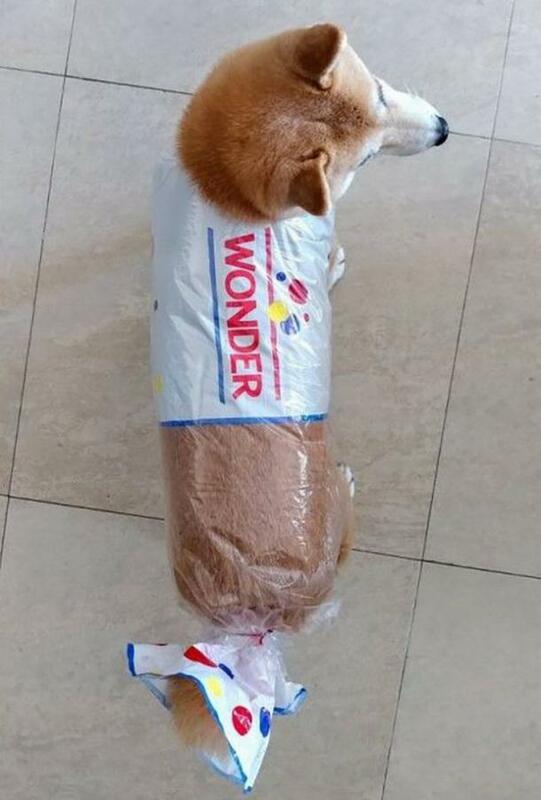 Another hilarious pet costume. 44. Stay squeaky clean this Halloween. Soap and a loofah Halloween costume. 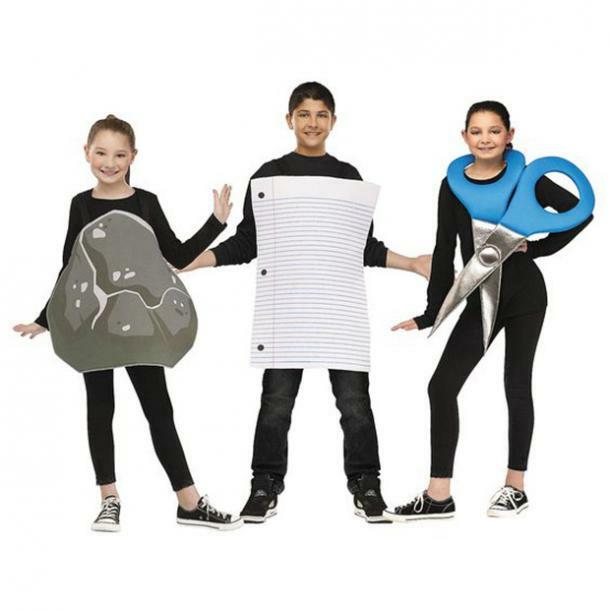 Rock, paper, and scissors Halloween costume. 46. Not the Christian Grey you were expecting. 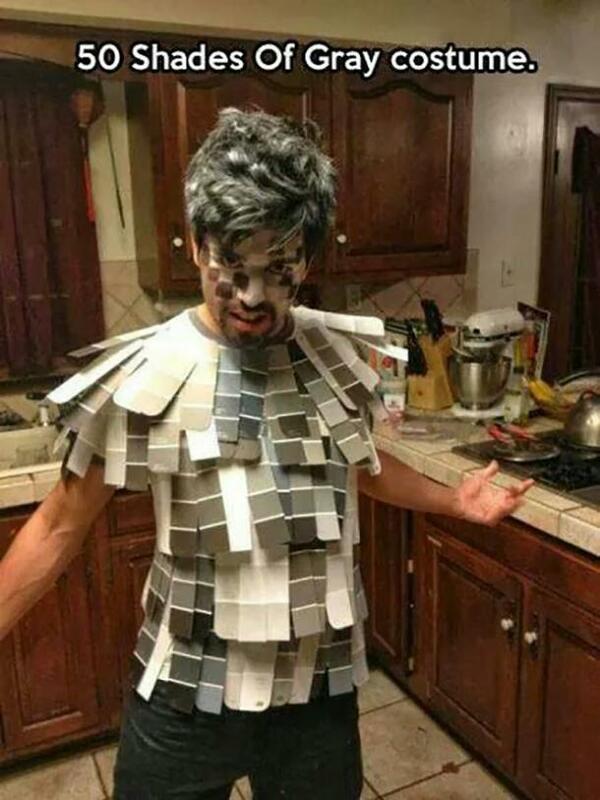 50 Shades of Gray Halloween costume. 47. How'd he get up there? 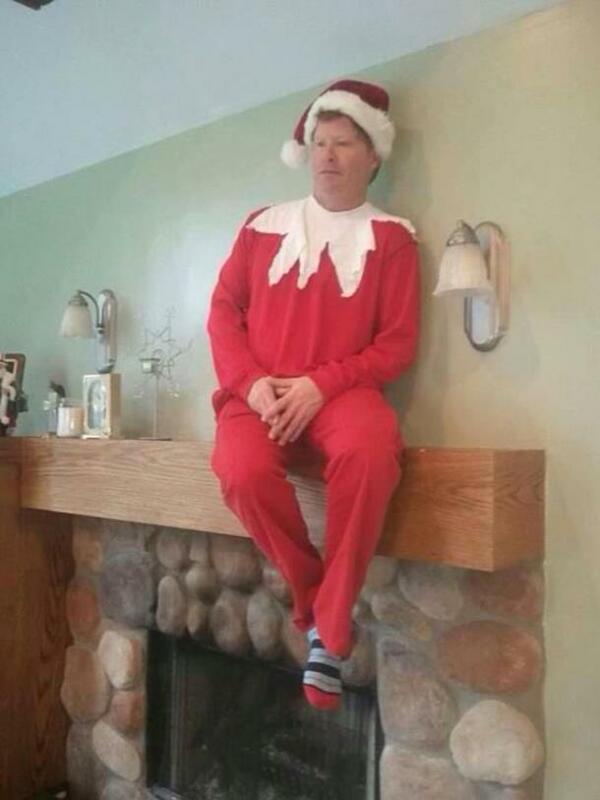 Elf on a shelf Halloween costume. 48. Wilson never looked cuter. 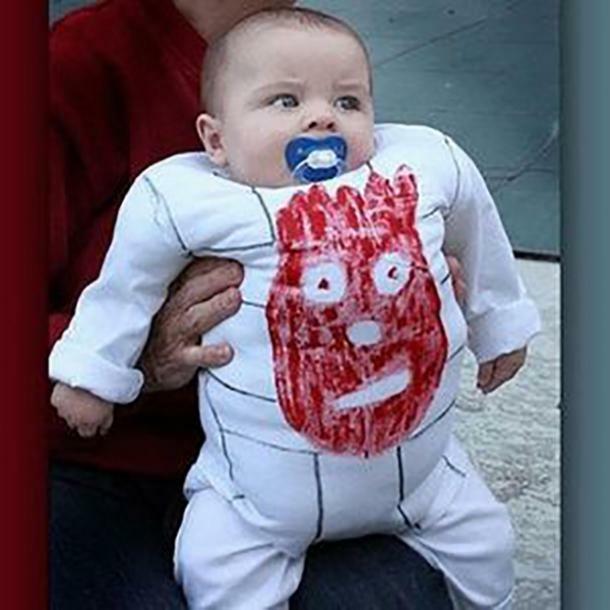 The Wilson volleyball from Castaway Halloween costume. 49. 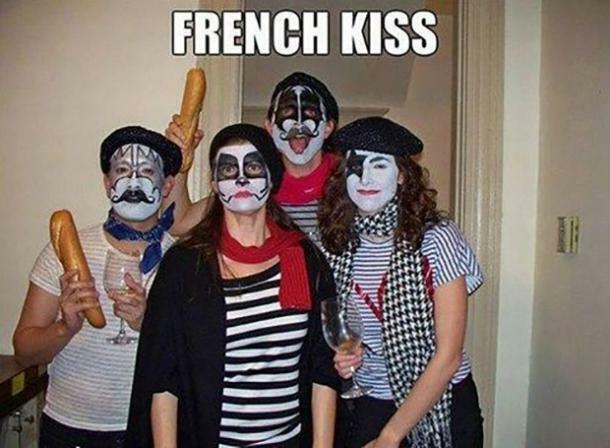 Bonjour and rock n' roll all night. 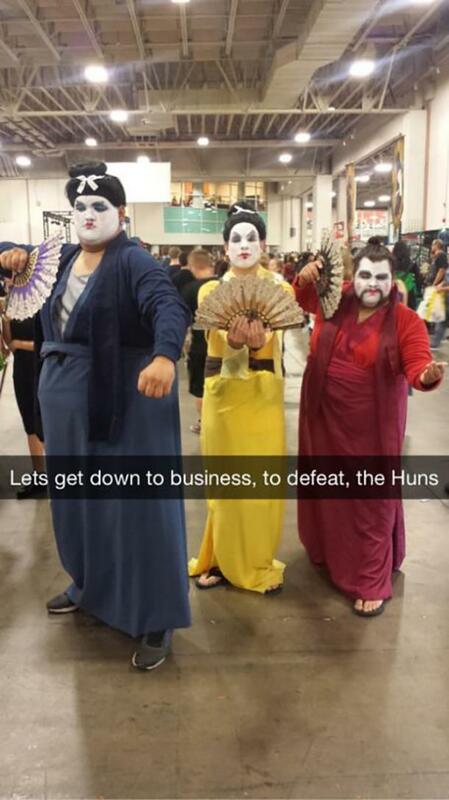 Mulan's soldier friends Halloween costume. 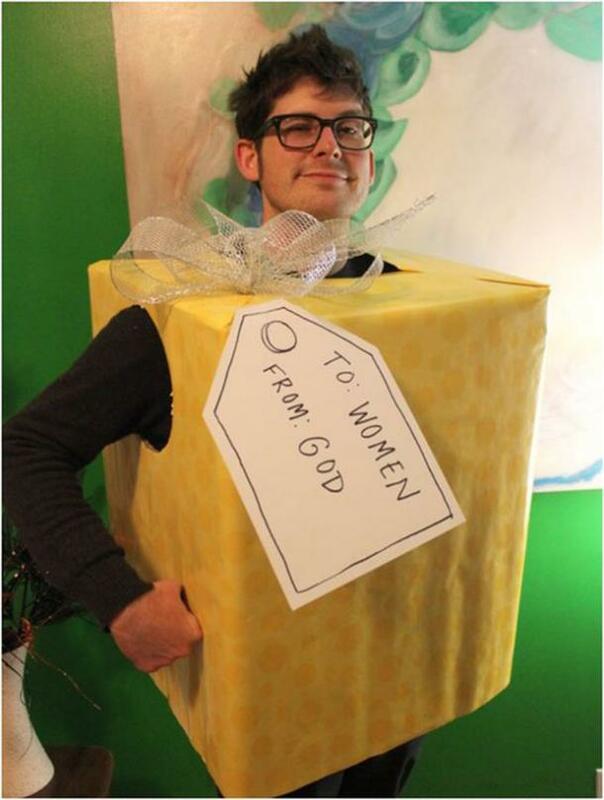 God's gift to women Halloween costume. 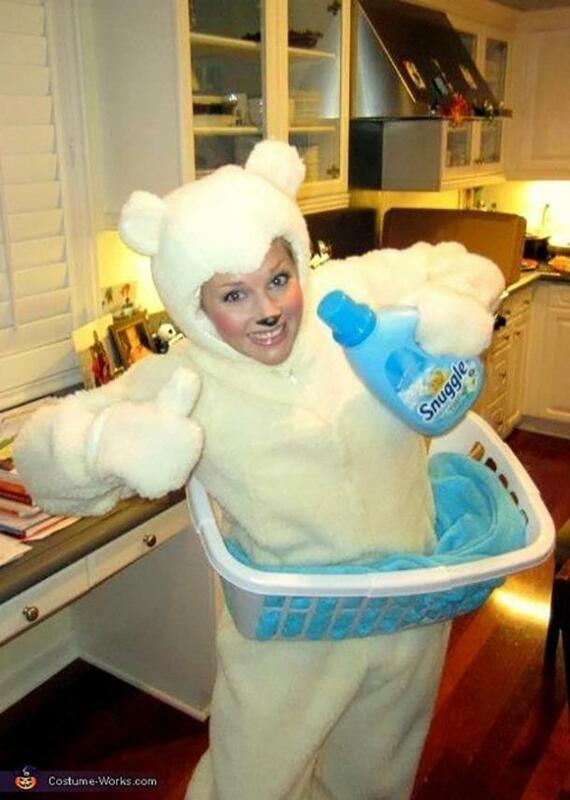 Snuggle fabric softener Halloween costume. 54. Spice up your life. 55. May also be used at Thanksgiving. 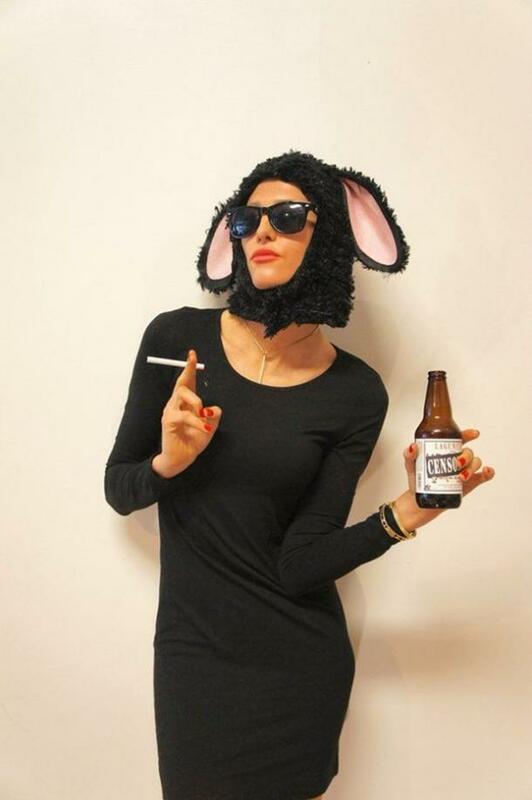 The black sheep of the family Halloween costume. 56. Someone call the IRS. 57. 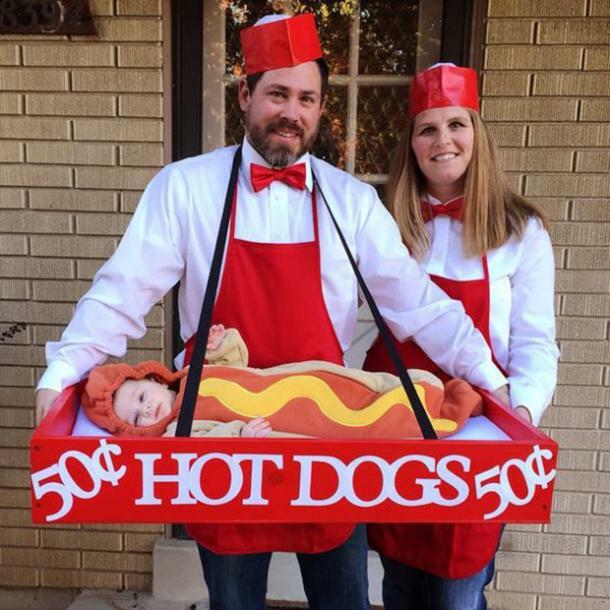 This hot dog seems under-priced. Vendors and a hot dog Halloween costume. 58. When you've got something to say to the world. 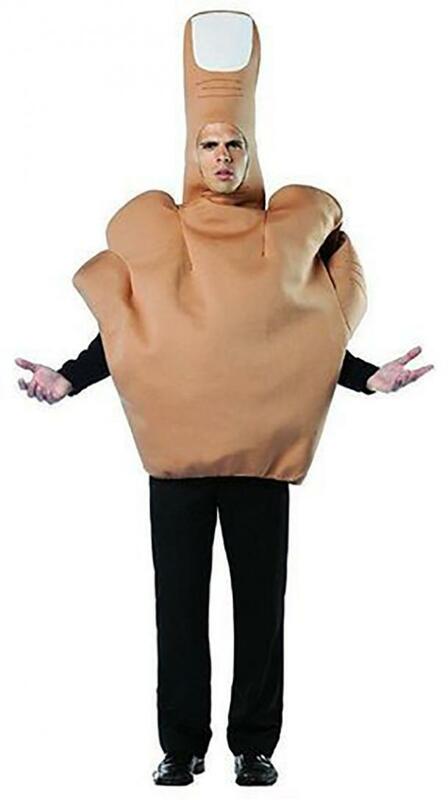 The middle finger Halloween costume. 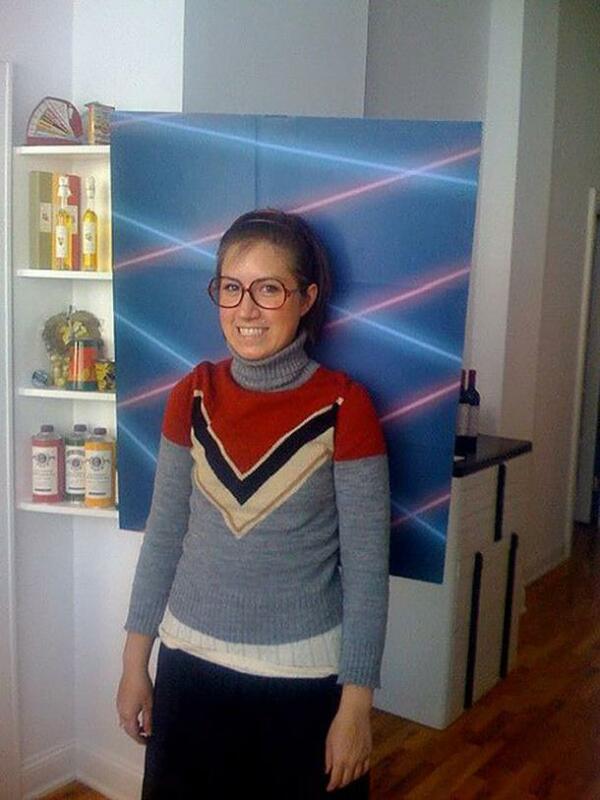 Your awkward yearbook photo Halloween costume. 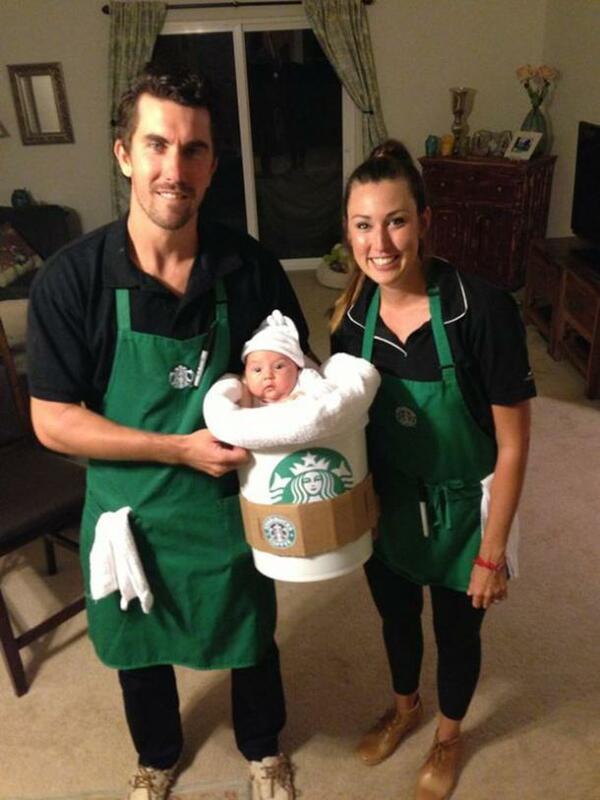 Starbucks baristas and a little latte Halloween costume. 61. The detective is in. Jim Carrey in Ace Ventura, Pet Detective Halloween costume. 62. 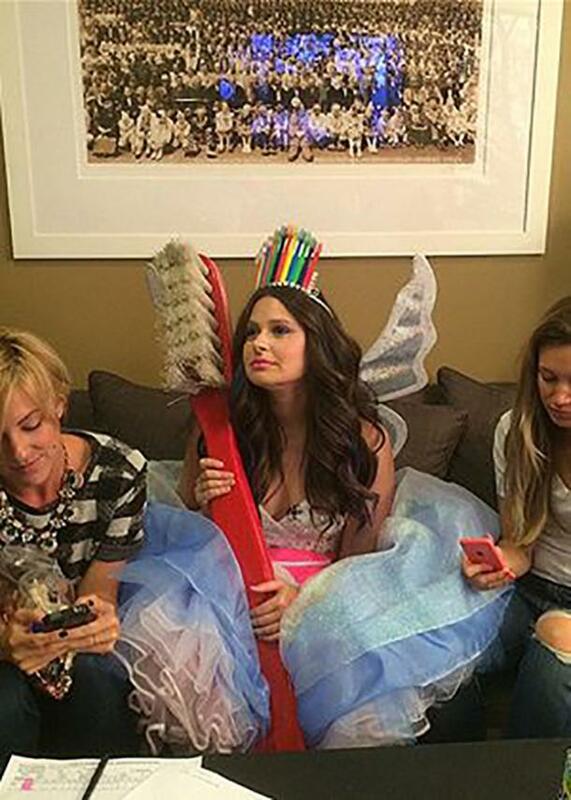 When you've been to one-too-many bridal and baby showers. 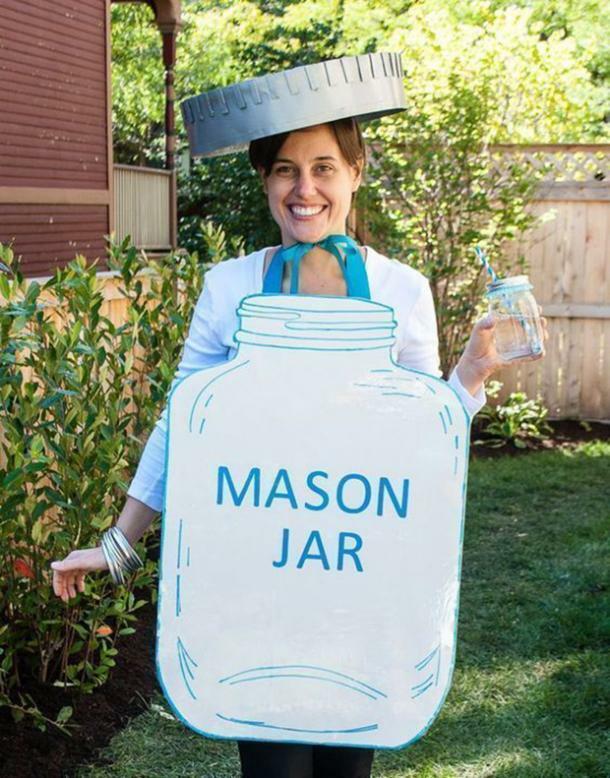 A mason jar Halloween costume. 63. 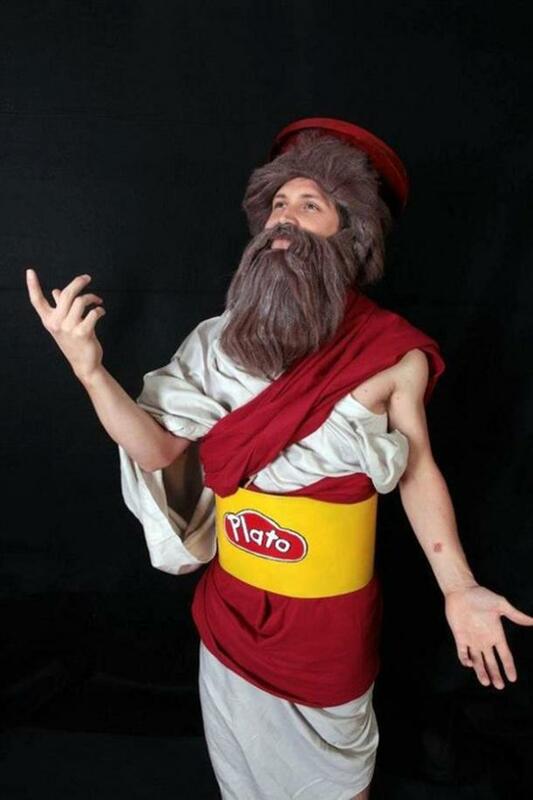 A winning costume pun. 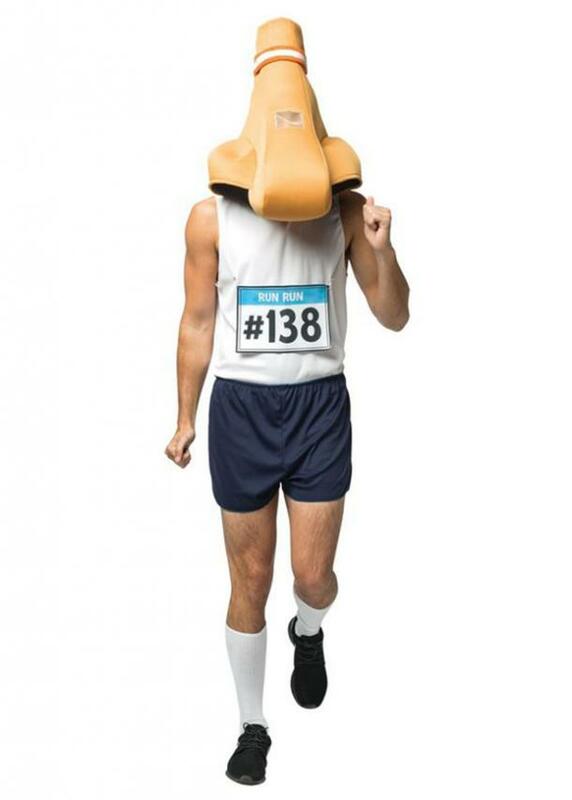 A runny nose Halloween costume. 64. The other guy doesn't look very happy. 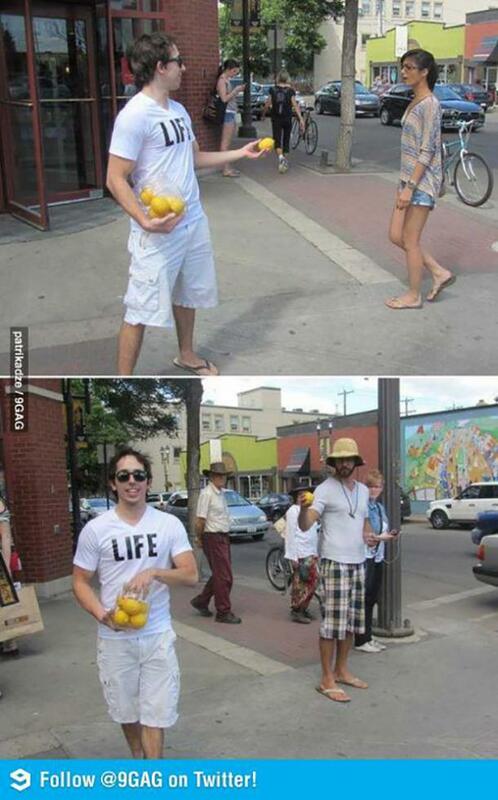 Life giving lemons Halloween costume. 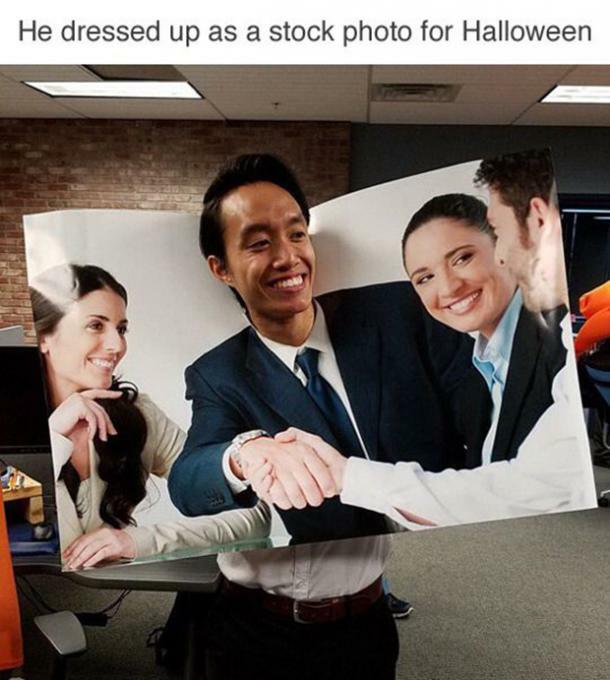 A stock photo Halloween costume. 66. Simple yet very funny. 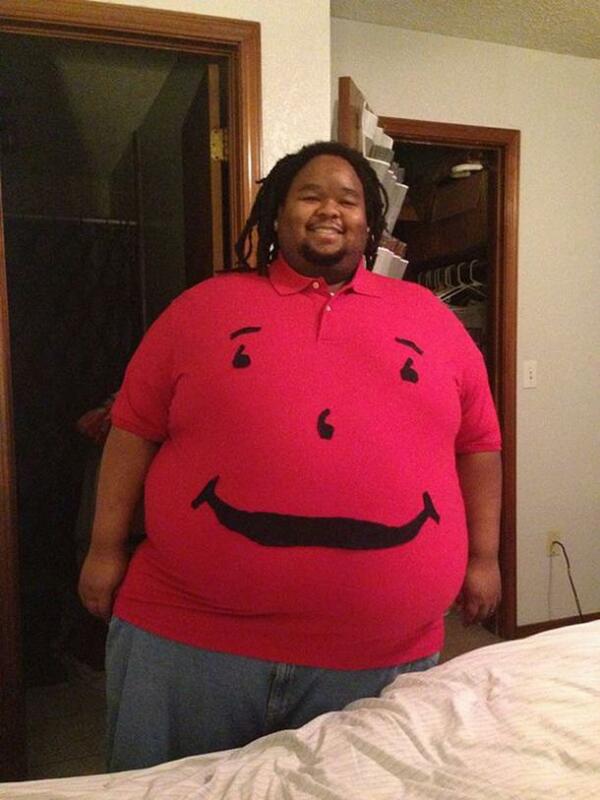 The Kool-Aid character Halloween costume. 67. 2018 problems, am I right? 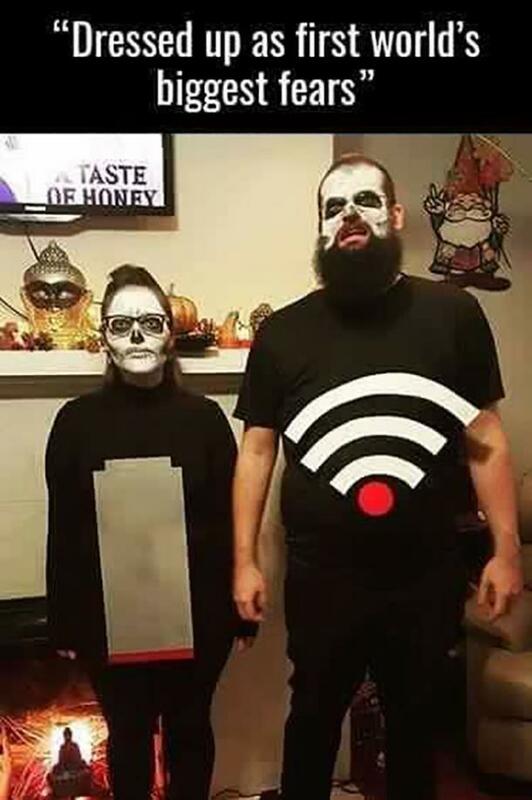 The world's worst fears: a low battery and low wifi Halloween costume. 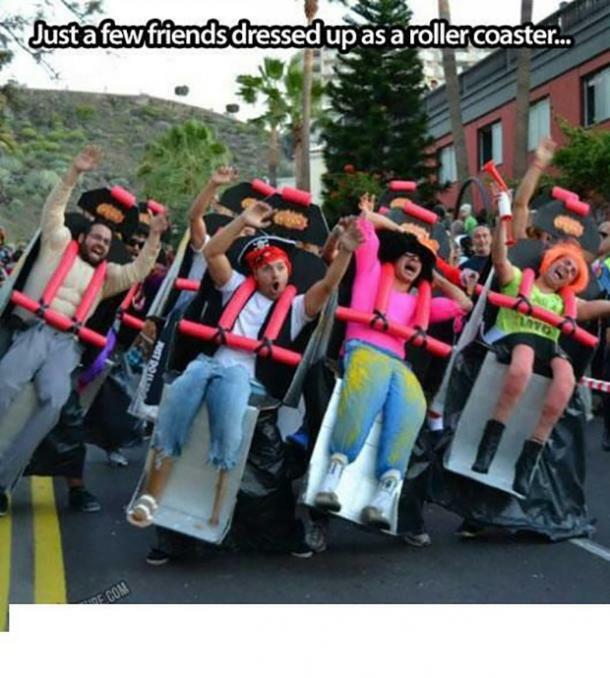 A roller coaster ride Halloween costume. 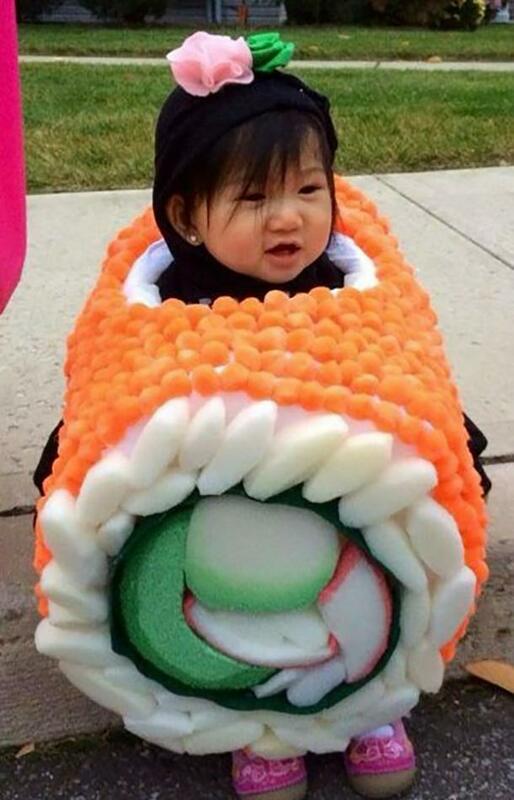 A sushi roll Halloween costume. 70. It's about time someone came up with this.